The scent of newly blooming flowers. The clean breeze blowing in. The warmth of the sunshine on your face. The cool soil between your fingers. The pain and stiffness in your low back. Gardening season is underway, and we are all looking forward to working in our gardens and planting flowers with the all the colors we have been dreaming about since last summer. Lawns are in need of mowing and the shrubs are begging to be trimmed. Mulch needs to be applied after 50 pound bags of topsoil are carried from car to flowerbed. Maintaining our lawns and gardens is a national pastime. In my mind it is exercise cleverly disguised as work. To most others it is a hobby, a form of meditation, and a form of stress relief from the long work week. Regardless of your viewpoint, working on the lawn and in the garden is stressful on the low back. A recent poll of 2,000 adults revealed that greater than 50% of them have suffered low back pain at some point over the past year, and more than half of them attribute the problem to gardening and yard work. Most gardeners fail to realize how stressful this activity is to their spine and joints. Just like any form of exercise (I mentioned my opinion! ), warm-up and stretching must be included as part of your healthy gardening experience. This is not to say that warming up and stretching prior to working in the yard will rid you of your backache and stiffness, but rather prepare our body for the hard work ahead and prevent more serious injury that may keep you away from your garden for extended periods of time. Go for a walk before starting your work to get your muscles and tendons loose, and to help get the joints moving. Follow up your walk with a simple stretching routine. Stretching is the most overlooked function of health and flexibility. 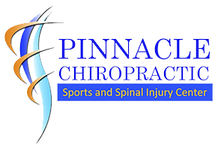 I spend time with many of my patients going over basic stretching movements in an effort to prevent injury and to help assist my spinal adjustments to be more effective. Also, be sure not to remain in the same position for any extended period of time. Movement is the key to staying free of stiffness (This is true as well for sitting in a chair or on the couch for extended periods of time.) and injury. Chiropractic focuses on movement at the spinal joint level. Just as every joint in your body needs to be freely movable in order to function properly, the same is true for the 32 individual joints that make up your spinal column. If you do experience any joint pain, muscle spasm, or discomfort, apply ice to the region for 15 minutes and give me a call. I will get those stubborn joints functioning properly again, and you will be back to your lawn and garden before the next pruning session.